Chelsea Cole Pearce has a Perfect Life Plan: get married, buy a house, and have a baby. Two down, one to go—and she and Jeremy are eagerly working on that third one. (And loving it.) While he’s writing his literary novel, she’s writing romance and designing her dream nursery. Life in the Pearce household is totally awesome—until it’s not. The road to happily ever after is bumpier than Chelsea anticipated, and she’s trying not to freak out. But her talent for jumping to wild conclusions coupled with their difficulty being open and honest with each other complicates matters. Now Chelsea must devise a new plan to get their life back on track … or else. 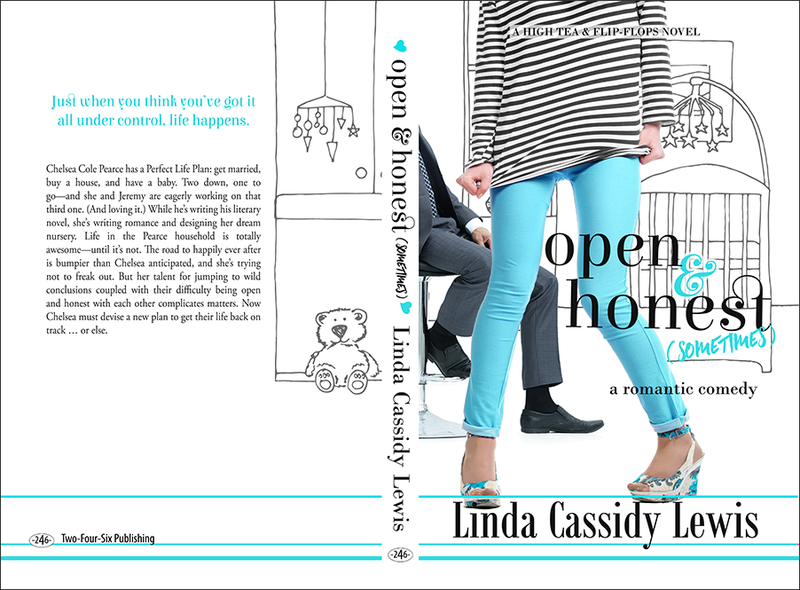 Buy Open & Honest (Sometimes) in digital or print at Amazon, and please add it to your Goodreads list. Click to read a preview.